If you want to boost your email marketing open rates, look no further than personalization. According to a recent Constant Contact study of more than 100 billion emails sent in 2014 and 2015, sending more personalized email campaigns can result in open rates being lifted by nearly 150 percent. What’s more, the study implies that segmentation is a great way to customize email campaigns, with the data showing that campaigns sent to 35 subscribers or less saw the best average open rates of 55 percent. 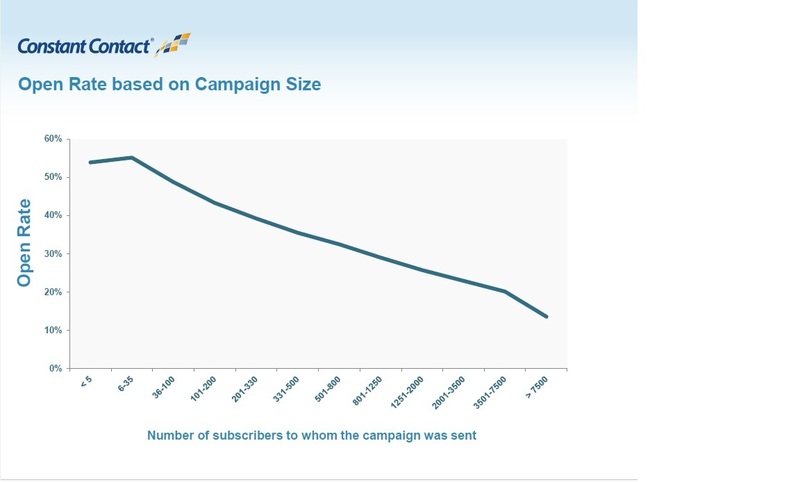 Conversely, campaigns sent to more than 7,500 subscribers, which suggests little personalization, averaged a 14 percent open rate. For the sake of comparison, the average open rate is 22 percent. Additional data shows that subscriber domain can also influence open rates. For instance, campaigns set to Comcast Cable, Verizon Wireless and Cox Communications email addresses saw the highest open rates, while AOL, Hotmail and Yahoo saw the lowest open rates. It is also important to note that nonprofits averaged higher open rates at 29 percent than both their business-to-consumer (B2C) and business-to-business (B2B) counterparts. This coincides with previous Constant Contact research that found nonprofits to receive higher click-through rates than B2C and B2B businesses. Constant Contact also shed light on mobile data, confirming that mobile devices now make up a majority of email opens at 51 percent. In fact, 38.8 percent of emails are now opened on a smartphone while 11.9 percent are opened on a tablet.